Find more results for Gerry Hartigan International Inc.
Search For "E-Commerce & IT Outsourcing" Companies in Virginia Beach, Virginia - Click Here Now! About Gerry Hartigan International Inc.
Gerry Hartigan Is An Author, Speaker, Coach, And Management Consultant Who Can Help Take Your Business To The Next Level Through Training Your Managers How To Become Real Leaders And Offering Marketing Seminars That Will Take Your Buiness To The Next Level. 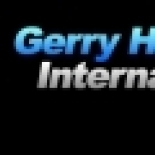 Gerry Hartigan International Inc. in Virginia Beach is a company that specializes in Computer Related Services, Nec. Our records show it was established in Virginia.